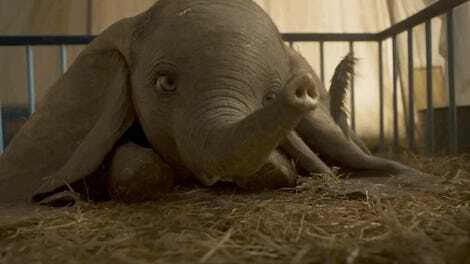 Look at the little baby CGI elephant. Don’t get me wrong, the elephant still has terrifying eyes, and the live-action vibe still feels a bit off. But there’s whimsy here, and something fun and bright and hopeful. Do I believe an elephant can fly? No, but I’m willing to think on it a bit more. Also, the monkey joke at the end is good. What can I say? 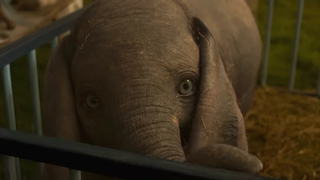 Dumbo, re-telling the story of the classic Disney movie filtered through the sensibilities of Tim Burton, comes out March 29th. 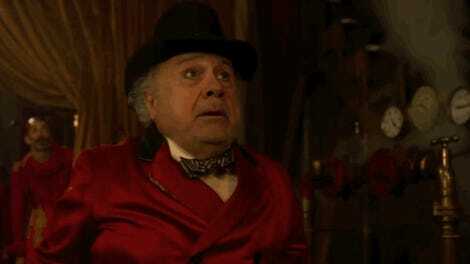 It’ll star Danny DeVito, Colin Farrell, Eva Green, and a CGI elephant.